I have a bookshelf in my study. It is a particularly cluttered and disorganised affair. Pulp fiction shares space with philosophy text books while Batman comics jut out from between literary classics. Every now and again, I attempt to organise my bookshelf into genres or authors or alphabetically but this never lasts for long. 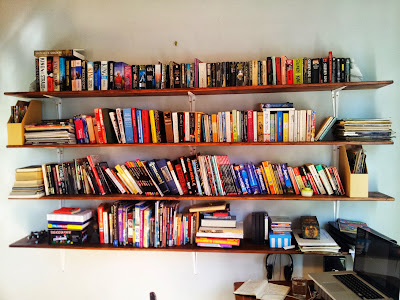 Inevitably, the books will leap back into a chaotic jumble the moment my back is turned. I have come to accept this and to understand this is their natural state. Like my imagination, these books refuse to be tamed or tidy. That’s fine. A little messiness never hurt anyone. 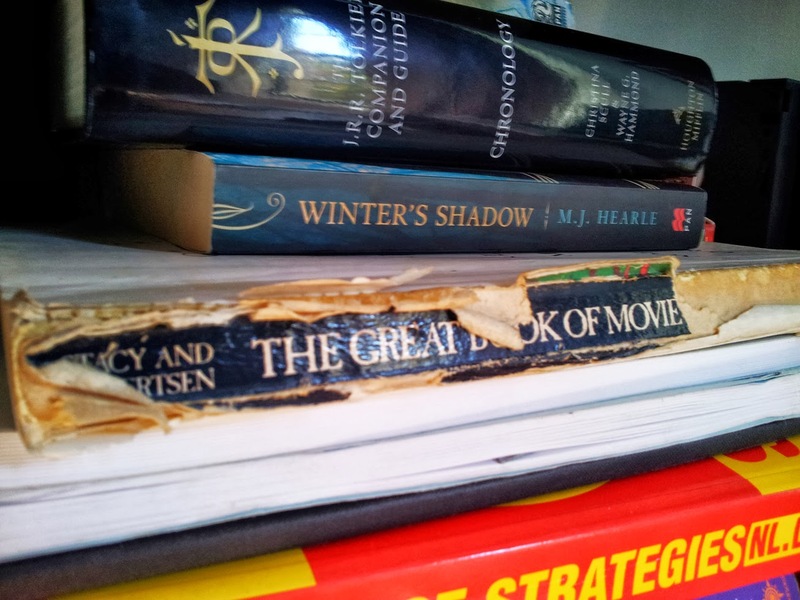 The title on the spine has more or less disintegrated but it once read The Great Book of Movie Monsters. It was given to me nearly thirty years ago by my dad. I’m sure he didn’t know that giving his five year old such a book would ignite a life long passion for the macabre, the supernatural and the fantastic but this is precisely what happened. It is a simple book, an A – Z compendium of all the monsters that had appeared in cinema up until 1984, yet I doubt I have ever loved a book as much. 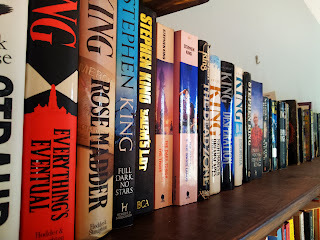 Without this book, I probably would never have gravitated towards the works of Stephen King which, as you can see, occupy a significant portion of the top shelf. 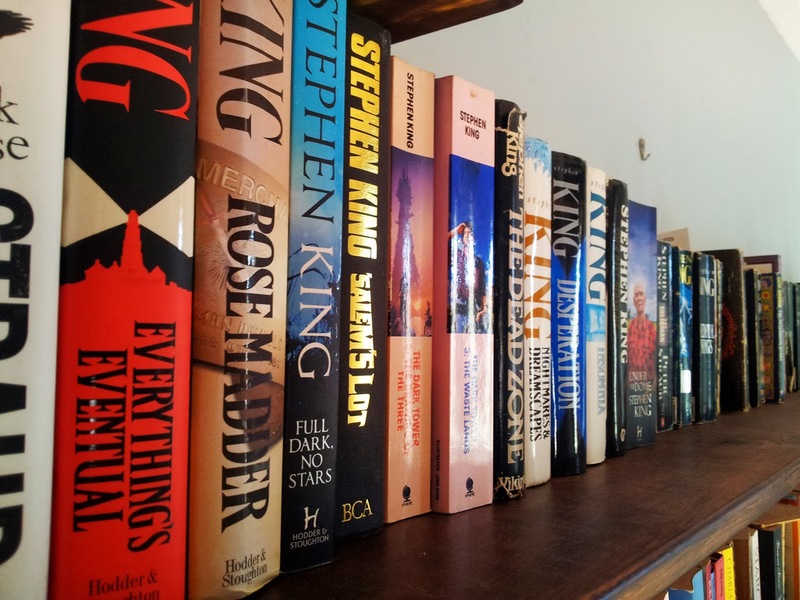 I have owned even more King books over the years but they have since been lent to friends or lost. My first exposure to Stephen King was through The Shining. My parents had a copy though refused to let me read it. Apparently, I was too young and the book was too scary. I promised I would not read it without their consent. Promises meant less to me as an eight year-old than they do now and so the moment I was unsupervised I pushed a chair up against the bookshelf (The Shining had been placed on the top shelf to keep it out of my reach. Silly parents) and retrieved the book. I knew I wouldn’t be able to read the whole thing before my parents caught me so I turned to somewhere in the middle and started there, hoping to find some of these forbidden thrills. Boy, did I ever. I happened to turn to the chapter where young Danny Torrence visits room 237 where he encounters one of Mr King’s more chilling creations. I had never been afraid by mere words on a page before but reading The Shining in my brightly hit home I experienced such terror it left me breathless. I’ve been chasing that thrill ever since. When I have kids, I will pass on The Great Book of Movie Monsters gladly. So long as it’s still in one piece. I hope they will love the black and white pictures and creature biographies. I hope that they will fall in love with monsters as I did. And I will point to the Stephen King books on my top shelf and sternly forbid them from touching them until they are suitably old enough. However, should one of them sneak a look when my back is turned, I will not be mad. Not too mad, anyway. The odd nightmare isn’t a bad thing for a child. It helps stretch and develop the imagination. And you never know? They might just end up becoming a writer. 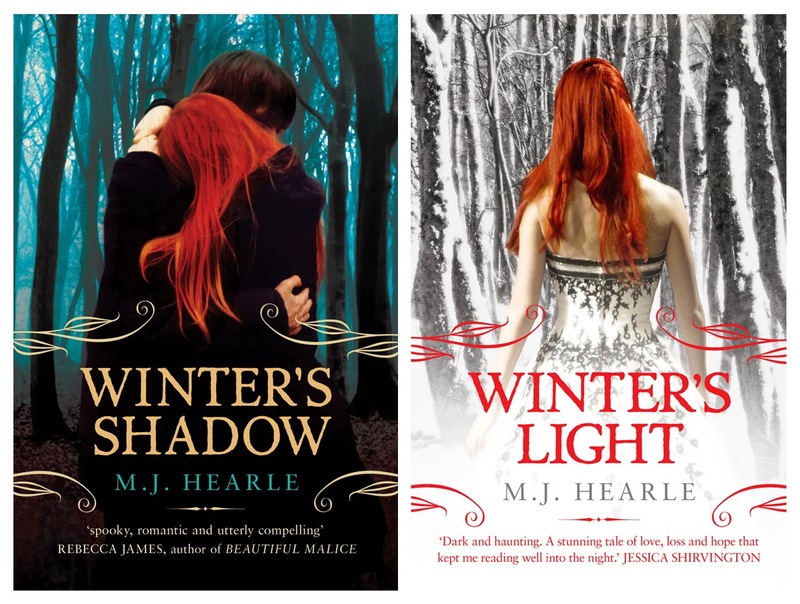 M.J. Hearle’s first novel Winter’s Shadow was published in 2011 by Pan Macmillian. 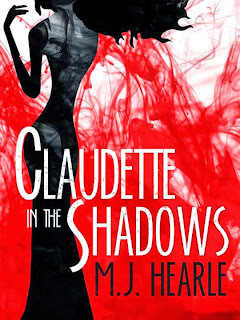 It tells the story of Winter Adams and her relationship with the mysterious Blake Duchamp. It features magic and monsters and other worlds and not a single glittery vampire or shirtless werewolf. 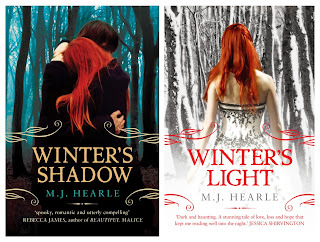 The sequel Winter‘s Light was published in 2012. 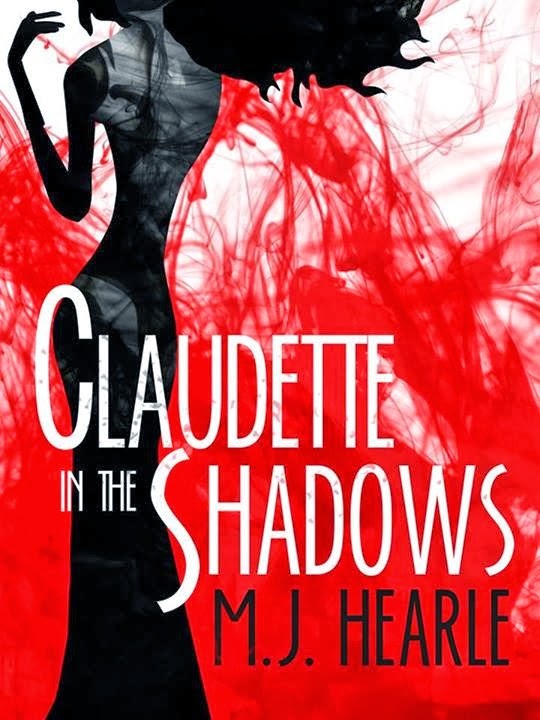 Claudette in the Shadows, a prequel to Winter’s Shadow was published as an eBook by Momentum in October 2013. 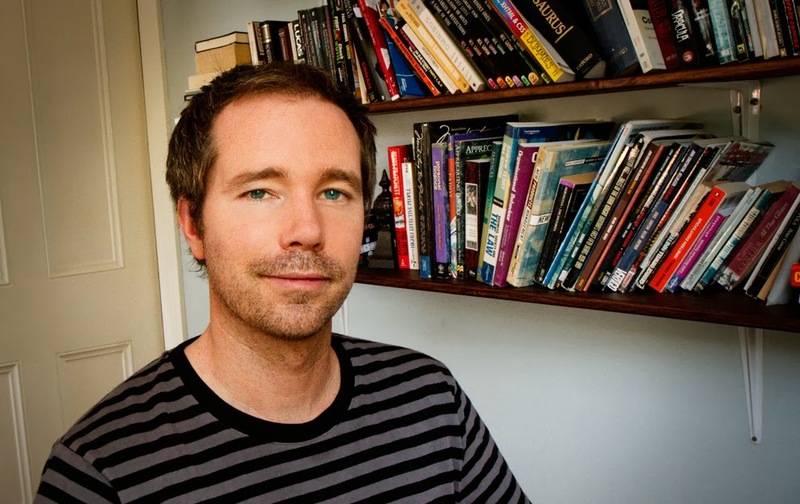 M.J. Hearle lives in Glebe with his wife, Greta, and is currently hard at work on the third Winter novel.